For the third time in a week, national oil marketer IndianOil Wednesday RPT Wednesday stopped fuel Supply to cash-starved Jet Airways for non- payment of dues. The airline also faced the ignominy of losing one of its planes to a European cargo agent who seized one of its wide-body planes at the Amsterdam airport for payment related issues, a source said. This is the third time that the public sector oil marketing company has cut fuel supply to the airline in the past eight days, which is struggling to keep afloat amid acute liquidity crisis. "IndianOil has stopped fuel supplies to Jet Airways in Mumbai, New Delhi and Hyderabad airports for its failure to clear dues," the source said. Mumbai is the largest base for the airline and it operates maximum flights from the city. On March 4 and 5 also the oil company had cut supplies to Jet and restored only after getting an assurance from the airline management. Earlier in the day, a European cargo services provider seized one of its Boeing 777-300ER planes at the Amsterdam airport for non-payment of dues. 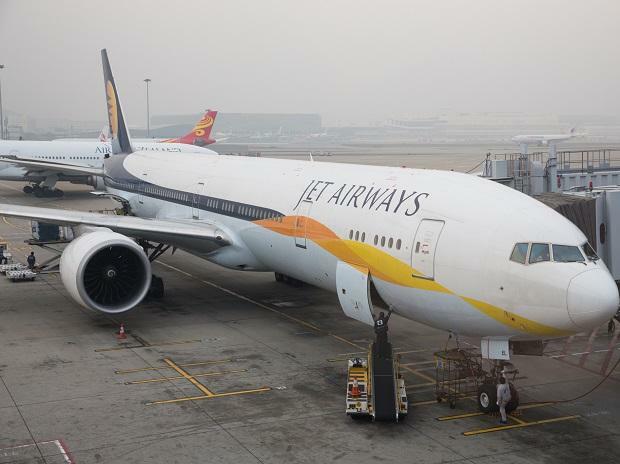 "The cargo agent seized Boeing 777-300 ER (VT-JEW) of Jet Airways at the Amsterdam airport as the airline could not clear his dues," the airline source told PTI. The aircraft was to operate a flight (9W 321) to Mumbai from Amsterdam Wednesday RPT Wednesday. Jet Airways, however, said the flight was delayed due to "operational reasons." Jet has been operating around 100 flights only with 26 planes as most of the fleet is grounded due to non-payment of lessors' rentals. Due to cash crunch, the airline has been paying only part salaries to its over 16,000 employees which forced a section of its pilots on Tuesday sending a legal notice to the management which is currently being headed by the lenders led by State Bank.